I must confess that we use a fake Christmas tree so we always to mount it first (a fun exercise in itself) before opening a box full of decorations. Every time we re-discover some old homemade ones (the ones made at nursery when he was a baby, for example) that have their place on the tree (towards the back!). My son loves being involved and being in charge of the decoration mapping. This means all decorations end up in the tiny area of the tree at his eye level. This is why we need his dad to lift him up and spread the items towards the top. A moment of pride for him! There are many ways to get in the mood before decorating the tree. For some children, going up side down is the only way… Don’t ask me why. I’m sure there is a place near you that offers a Christmas trail in December. 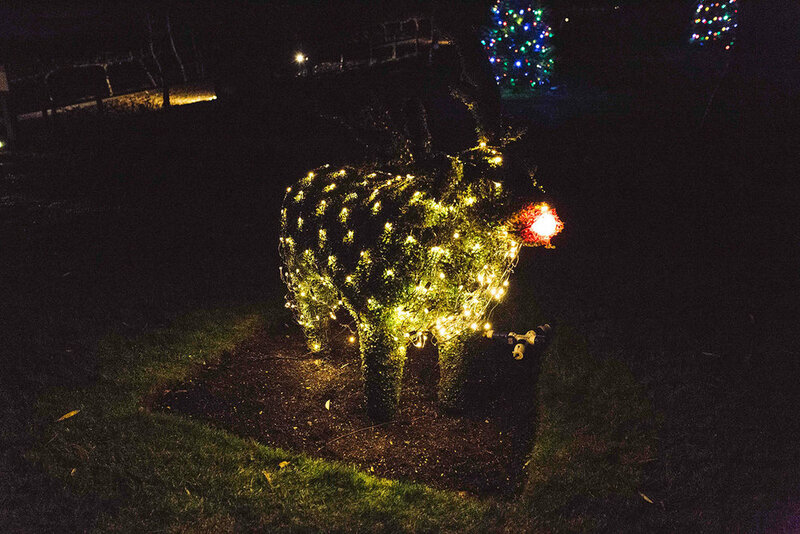 As National Trust members, we couldn’t resist going to Chartwell House’s Christmas trail last winter. The trail was very easy for our toddler boy to follow, which made it a very enjoyable family day-out. There were things to count and clues to find throughout the gorgeous garden. Fun in the fresh air, a great combination for little ones. Finding the partriges in the pear tree and counting egg baskets were part of the games of this Christmas trail. Lots of parents hunt for the best Santa Grotto in their area and there is a lot of competition, especially in and around London. 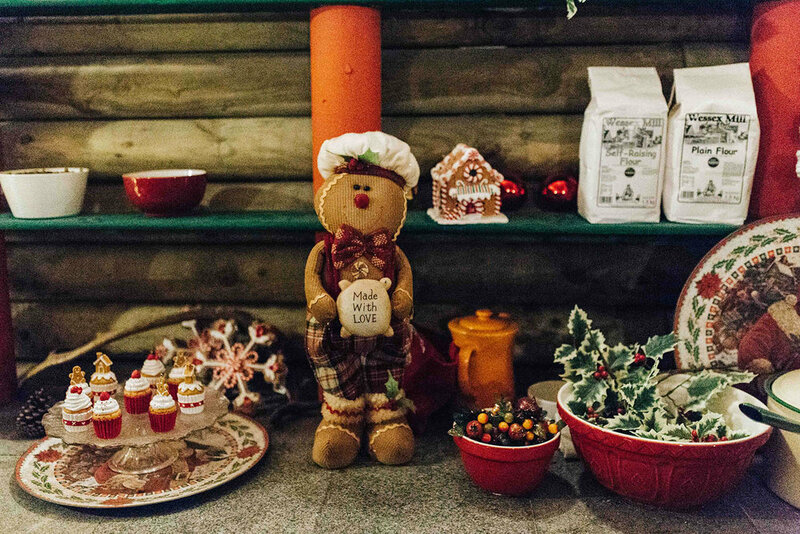 We fell in love with Ruxley Manor Garden Centre’s Santa Grotto (near Sidcup, Kent) on our son’s first year and we haven’t tried any others for this simple reason. What I particularly enjoy about it is that it’s not all about Santa. 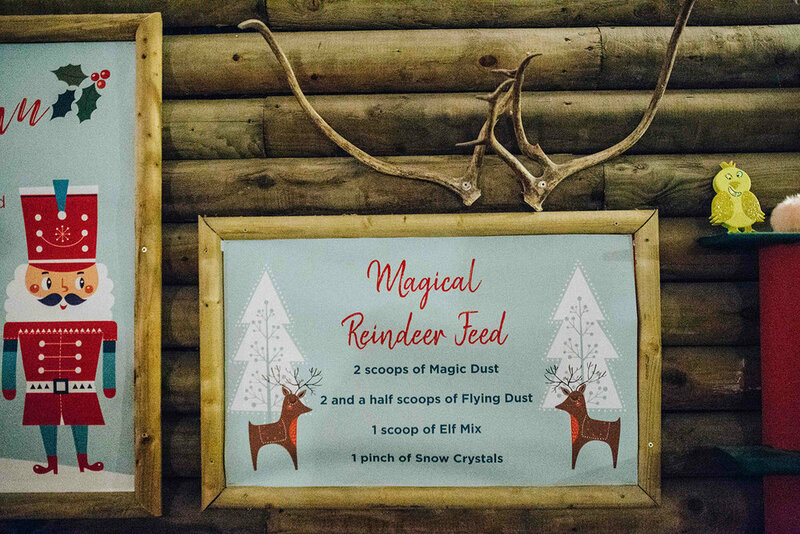 You are welcome by elves, play a game then meet Mother Christmas and her assistant to make magical reindeer dust before helping out an elf in their toy workshop, making something you can keep. Meeting Santa is the cherry on the cake as he offers a present to every child in the room. What’s not to like? 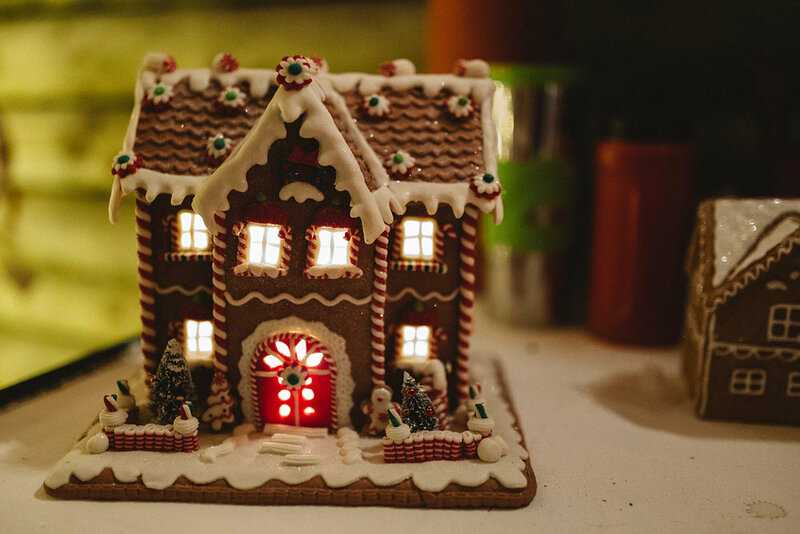 It’s decorated with charm and lasts just the right time - not too long, not too short - for young children to have fun and leave with a smile. 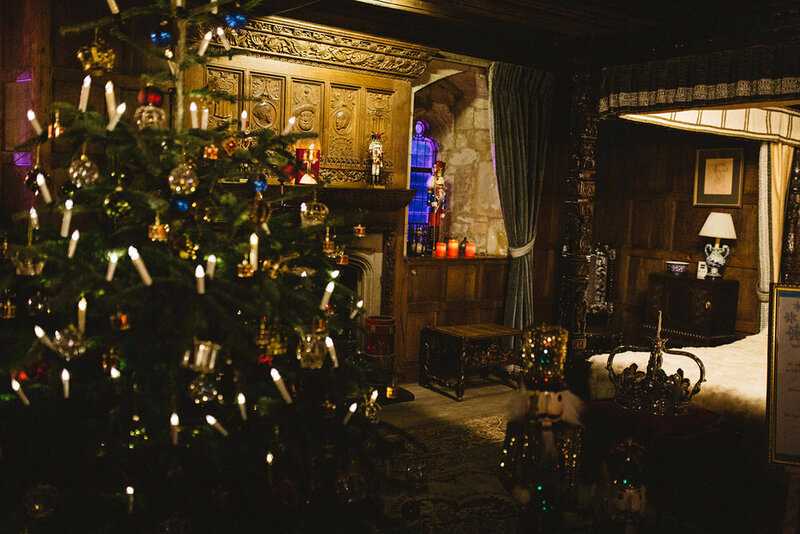 For the first time this year we discovered Christmas at Hever castle, a beautiful Tudor palace in Kent. Its popularity is due to the fact that it was Anne Boleyn’s childhood home. In the gardens, we walked through the Dickenian Christmas Carol inspired trail. In front of the castle, a choice of traditional fun fair games and food were on offer. We tried some roasted marshmallows, a classic outdoor snack. Inside the castle we spotted plenty of Christmas trees, one in almost every room together with a Nutcracker theme. A very charming place to visit as a family during the Christmas period. Make sure you see the castle at night to see the beautiful lights outside and inside. Last but certainly not least, the moment all children await is the opening of presents. No matter how many they receive, I think the joy is the same. My son sprinkles the magical reindeer dust he made at Ruxley Manor (see point 3!) on Christmas Eve to make sure Santa DEFINITELY comes around. I must admit, the excitement on your child’s face when he/she opens this presents is the best gift you can ever get. As a family photographer, I couldn’t resist grabbing my camera to capture his reaction but I made sure I put it away afterwards to enjoy the moment. Has this article inspired you? Let me know! 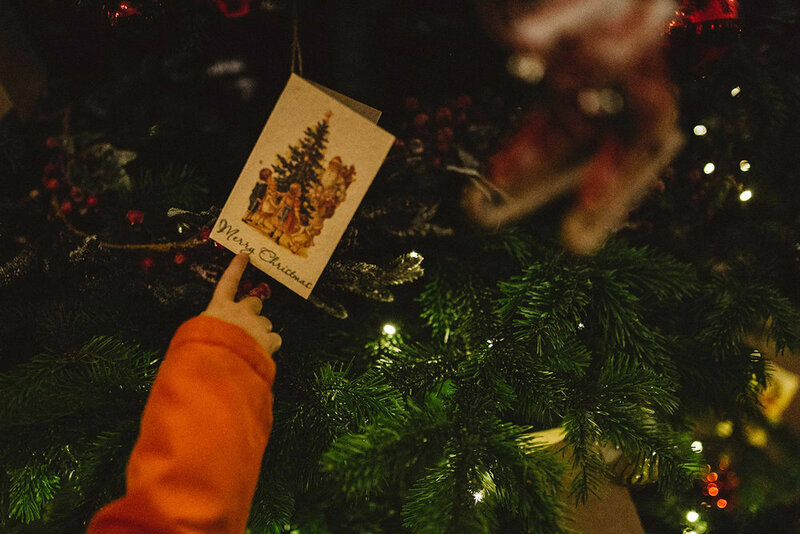 I’d also love to hear your favourite family Christmas activities; please share your tips ;-) Feel free to use the comments box below or get in touch to create your own Christmas memories.